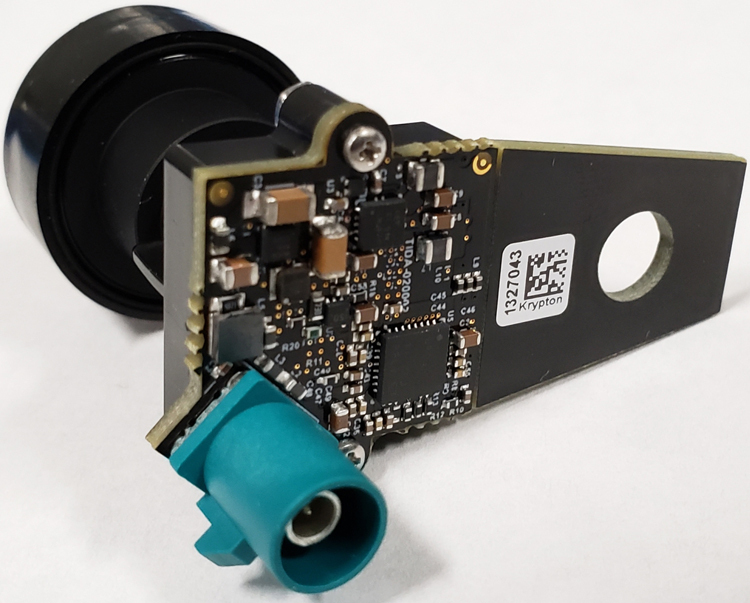 This camera module reference design addresses the need for small cameras in automotive systems by combining a 2-megapixel imager with a 4-Gbps serliazier. Additionally: it provides power supplies and voltage supervision for both devices in an ultra-small form factor. This design includes a high-speed serial interface to connect a remote automotive camera module to a display or machine vision processing system with a coaxial cable transmitting both data and power. The 4-Gbps FPD-Link III SerDes technology used in this reference design enables the transmission of uncompressed 2 -MP video data: bidirectional control signals: and power over coax (POC) using a single cable.